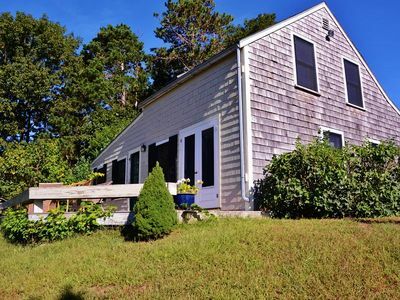 Enjoy beautiful views and sunsets in this serene and rustic oceanfront cottage, located between Annisquam and Rockport on Cape Ann just one hour north of Boston. 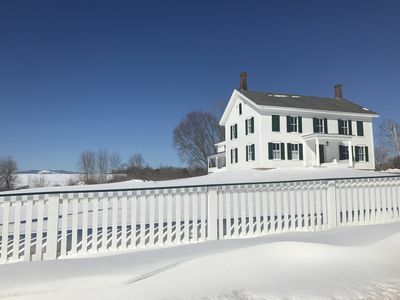 At the end of a country lane, this large cottage offers a spectacular wrap around porch, rolling grass lawn leading to steps to the ocean. One can sunbath, kayak and swim at high tide, play crocket and badminton, or just read and watch the boats go by. 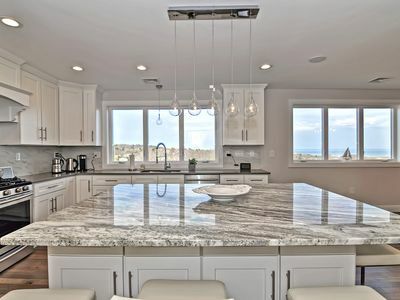 One can relax at the end of the day, cooking meals in the summer kitchen facing the ocean, while dining at a large country kitchen table or relaxing on the Adirondack chairs. 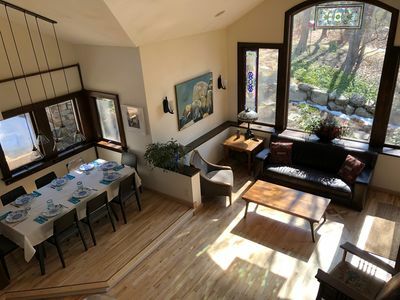 There is a full kitchen in the back of the house, and a grand room for indoor dining or just hanging out by the woodstove. 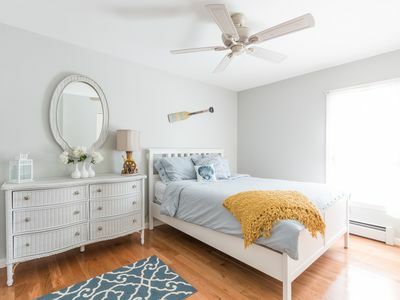 The second floor master bedroom has a king bed and amazing views of the coastline. 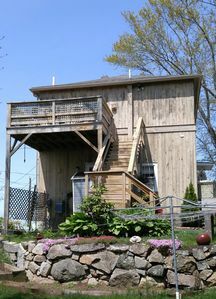 The first floor has 2 bedrooms with queen beds, a bunk room, and a small room with a single bed. Washer dryer, dishwasher, stove, microwave and BBQ. There is internet and phone reception but no central heat, air conditioning, or TV. 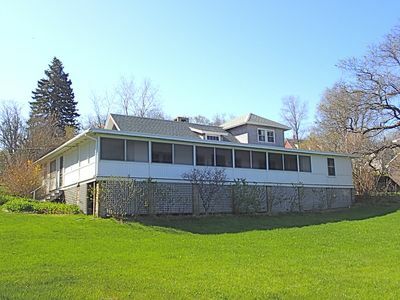 The whole house and property is your domain except some storage in the back of the house. There is a small cottage next door and we are respectful of their part of the front lawn on the water. You have immediate access to great rocks for climbing. You may see some folks walking along here because technically it's public space and they walk in from Halibut Point park. Just say hello! Warm Yankee hospitality comes with each reservation to facilitate your vacation in any way that you need. I'll meet you at the residence to give you the grand tour of the place, ensuring you know the essentials and more. 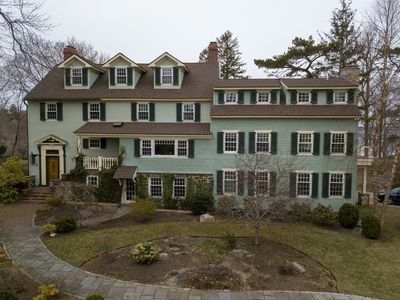 You will have an orientation to the home, property, neighborhood and I'll let you know what great opportunities you have for touring in the the area, Gloucester, Rockport, Cape Ann and beyond. I am available on-call whenever you need via text, phone or need to attend to anything at the home in person. 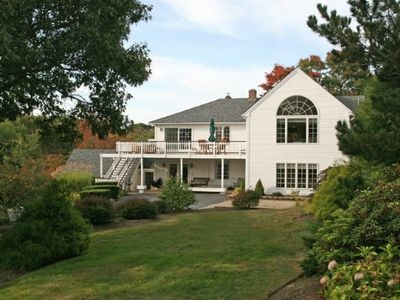 The property is on the edge of the Ipswich Bay just down the road from Halibut Point. 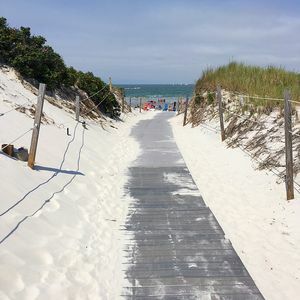 You will love walking down to the seashore for a stroll or biking off to the nearby national park. 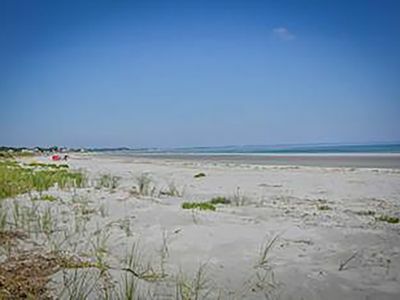 You are in an exclusive area that has access to the waterfront of greater Ipswich Bay. 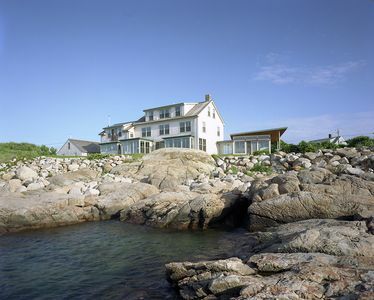 Just nearby is the Halibut Point ensconced in a national park area. Rockport just a few miles down the road for a quaint visit to another seaside New England town. Down the road is the well-known Lobster Pool Restaurant. Sit outside at one of the dozen picnic benches and enjoy the sea breeze and the view of the bay. Lanesville is a small town center set apart with great local shops and restaurants. Pictures here are of the downtown area with restaurants and shops. There are a couple of places close by to pick up simple groceries or drive out to the main area where there is a Market Basket or Shaws. You will need a car. There is a T Commuter rail if you want to take it in to Boston for a day trip. The wood burning stove isn't meant to heat the house, just to keep the chill off on cool mornings or evenings. Wood can be delivered at $10 for a small box, $20 for a larger box. - There are no air conditioners. The breeze is quite good and we have some small fans. - Parking is limited. Prefer 2 cars but we can discuss about it. 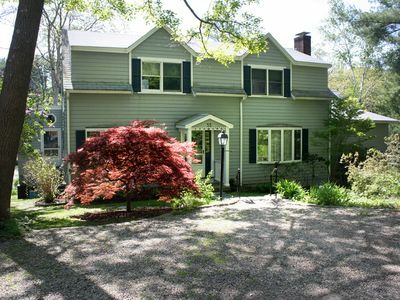 Sunny 4BR Ipswich Cottage w/Beautiful Views! 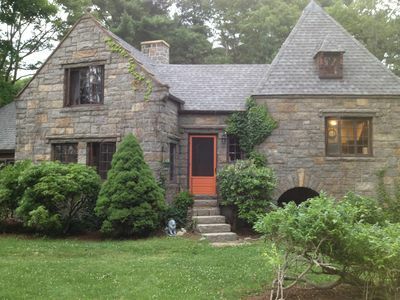 *~*Charming Unique Antique Stone Home*~* summer reservations are Sat.- Sat. 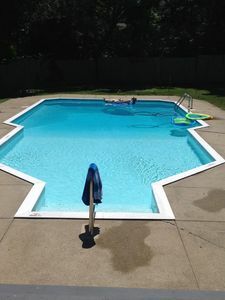 Newly Renovated!! 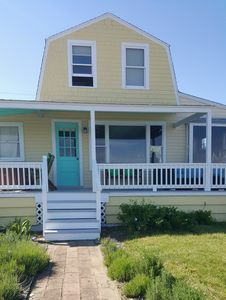 Beautiful 3 bed home...steps from beach! 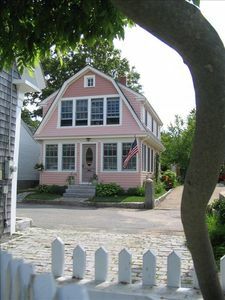 Rockport, MA 4 BR Near Beach & Shops w/ Private Pool, Full Kitchen & More! 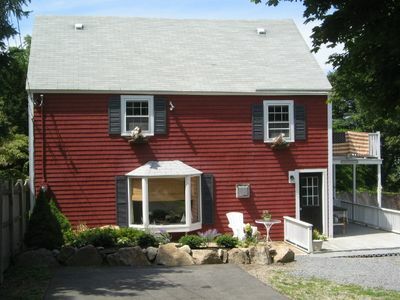 Rockport, MA 3 BR Near Beach w/ Private Pool, Fire Pit, WiFi & More! 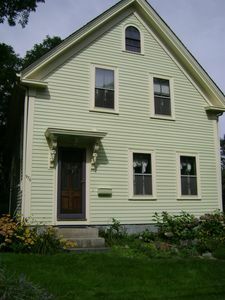 Gloucester, MA 3 Waterfront w/ Full Kitchen, WiFi & More! 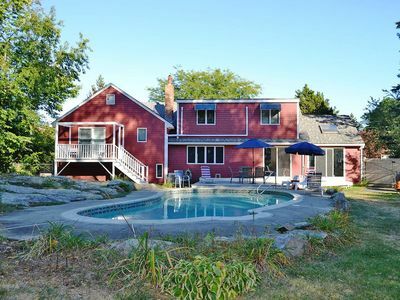 Gloucester, MA 3 BR Near Beach w/ Waterviews, Full Kitchen, Fire Pit & more! 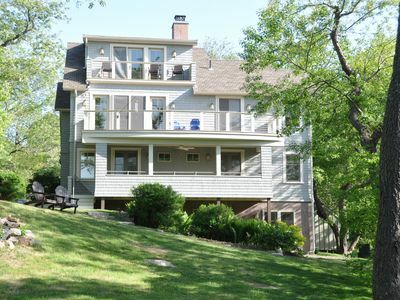 Spectacular, luxury waterfront property directly overlooking Sandy Bay.